At McGlone Academy, we value a strong academic core that instills the love of learning in kids while providing the necessary skills for them to be college and career ready. By choosing and modifying components of various content and curricula aligned to the CAS, with resources in English and Spanish, we are able to ensure that lessons are engaging, personalized, and culturally affirming. We are also able to choose curricula and resources that meet the needs of the entire targeted population, including ELA-S students, by bringing in high-quality Spanish materials. 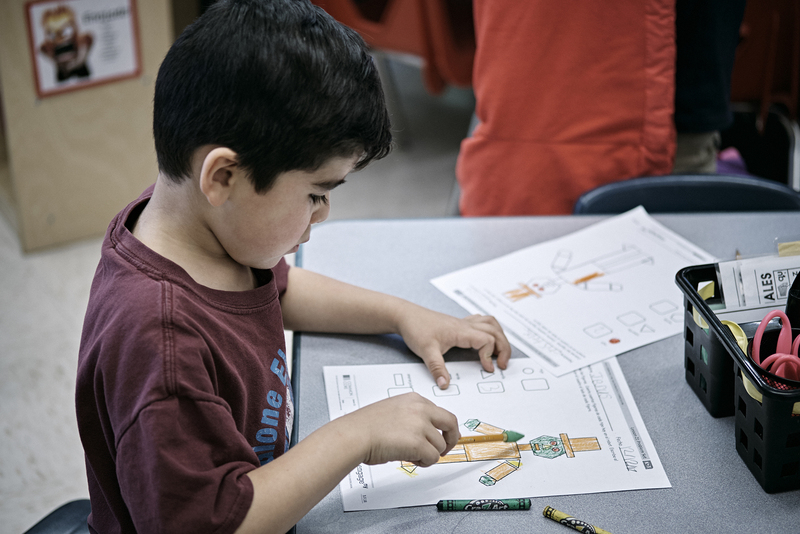 Spanish curricular materials are equal to those in English in terms of caliber, rigor, availability, and quality, and they also allow teachers to support differentiation for ELLs, recognizing that all students benefit from instruction adapted to their current learning levels. If you’d like to learn more about our ELA Program and TNLI model, please click here. A students day includes a literacy block, guided reading, a math block, social studies, and empower courses (Physical Education, Science, Technology, Engineering, Music, Art and Math). Our Vision Statement for Biliteracy: It is our vision that our students continuate at 8th grade on track to earn the seal of biliteracy as a form of recognition for their achievement of biliteracy in order to become changemakers for our Montbello community and the world.